Things aren’t going exactly the way you hoped. Just how can you turn it around? Better yet, how can you use these opportunities to become a stronger person– a more skilled empath? Very interesting article from Dr. Michael R. Smith on how to use the chaotic occurrences to strengthen our empathic abilities. Check out this new concept. Empaths know that there is deep medicine in chaos. When I was being trained as a counselor back in the 90’s, I had the “accidental” honor to be trained, at two different institutions, by the only two counselors in the entire country who studied and applied Chaos Theory to people and groups. Without getting too detailed, chaos theory can teach empaths about how things break up and come back together, and that includes us as empath individuals. Sometimes, in order to be fully whole, empaths must be willing to die to old selves, and be willing to endure having ourselves be taken apart, sometimes through trauma, sometimes through intentional processes. However you get there, when you come out the other side, you come out a stronger empath than ever before – less likely to take on other people’s negative energy and more fully realized as a strong, healthy, conscious empath. I use these words as an invitation for you to find out more about the power of chaos, the associated animal Spirit Guides such as the coyote, and the spiritual teachings associated throughout the ages, in many traditions, that describe its potent power; power that you can apply as an empath. Entrainment is a word use in Chaos theory to describe what Native people know happens when people are together in ceremony. We move together. Literally. You, as an empath, know this better than most others. Entrainment is the quickest way to move up Spiritually. If you are exposed to a certain frequency long enough, you will eventually change your vibration, to match the frequency to which you are exposed. This happens in interpersonal relationships, in student-teacher relationships, in the workplace, in every single interaction in the world. The more an empath knows about entrainment, the better you will be prepared to change others to your frequency rather than have them change you to their negative frequencies. For more solutions and techniques to sky rocket your empath skills & personal journey check out Dr. Michael Smith’s Complete Empath Toolkit here. This entry was posted in -Empath Expert Guests, -Recommended Resources and tagged cleansing negative energy, clearing negative energies, clearing negative energy, conscious empath, empath, empaths, getting rid of negative energy, healing negative energy, how to create high vibration, how to protect yourself from negative energy in your environment, meditation for removing negative energy, Michael R Smith, native american, negative energies, protecting your energy, protecting yourself, releasing negative energy, remove negative energy, removing negative energy on August 15, 2011 by EmpathSolutions. Here are some solutions to clearing negative energy we found useful. Everyone is different, so try them out to see which ones work better for you. The number one key is to STAY GROUNDED in your body. This means getting regular exercise, eating nutritional food, and cutting out overstimulating things in your life. 1. Smudging your home with sage. 2. Doing Meditation and taking deep breaths. 3. Strategically placing bowls of sea salt in your home to protect you from entrance of negative energy. The salt acts as an absorbent to negative energy. 5. Physically clean the place. 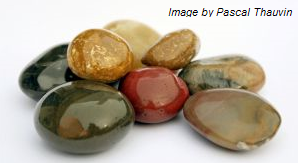 This removes the old energy and keep the place in high vibration. For more solutions and techniques to sky rocket your empath skills & protect and shield yourself unwanted negative energies check out Dr. Michael Smith’s Complete Empath Toolkit here. 1. Take a nice warm shower. 2. Take a nice bath using Epsom Salt. Epsom Salt is to help you cut the psychic connection with others so that they are no longer pulling you. Plus, it helps your tired body relax. 3. Use essential oil or scent such as lavender, eucalyptus, rosemary, etc. to calm and relax yourself. 4. Get a nice massage. 6. Going outside for some sun. 8. Get some fresh air. 10. Going to ocean, forest, or mountain area also helps you rejuvenate. 11. Surrounding yourself around plants or trees of high energy. 13. Eat proper balance nutritious meals. 15. Take care of yourself. 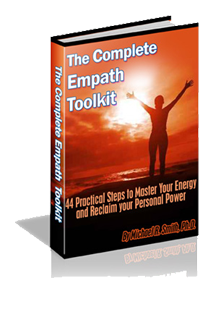 Grab Your Copy of Dr. Michael Smith’s Complete Empath Toolkit here. This entry was posted in -Clearing Negative Energies, -Daily Care Tips For Empaths, -Empath Solutions & Tools, -News and tagged cleaning the place, cleansing negative energy, clearing negative energies, clearing negative energy, clearing negative energy in your environment, conscious empath, eliminination negative energy, empath, empath sensitive to crowds, empaths, Feelings, getting rid of negative energy, grounding yourself, healing negative energy, healing rocks, healing stone, helpful tips, highly sensitive person, how do I know I am an empath, how to create high vibration, how to protect yourself from negative energy in your environment, hsp, keeping your energy, meditation for removing negative energy, Michael R Smith, negative energies, negative energy, negative energy cleansing, negative environment, negative person, negative psychic energy, negative spiritual energy, protecting your energy, protecting yourself, protective stones, protective stones and crystals, releasing negative energy, remedy, remove negative energy, removing negative energy, rock picture, saging the place, solution for empaths, stay grounded, stone image, things to do to elevate your personal energy frequency, what is an empath, www.empathconnection.com, you are an empath on April 5, 2011 by EmpathSolutions. This is a prayer Kahuna Morrnah Nalamaku Simeona used to heal and clean negative energies, memories, thoughts, blocks, and vibrations making space for the divine to flow through you. The story goes… during one of Morrnah’s gathering, a student (who could see people’s aura) pointed out that everyone in the room has an aura around them except Kahuna Morrnah. For some odd reason, Morrnah did not have one around her. The student was baffled by this. Then a fellow attendee told her she needs to go outside up to the hills to see for herself. And so the student did, and to her amazement, There it was!… Morrnah’s aura… so grand, that it covered the whole place. Morrnah’s aura was so large you could not see it up close because you were inside her auric field. I love this story. I feel it sums up a lot of things about who Morrnah is. And most importantly, how this prayer has help her in her journey. Thank you Morrnah for your gift and enlightenment to the world. You are not only a jewel of Hawaii, but a beautiful blessing and light to us all. May Morrnah’s prayer and blessing bring more peace, love, and light into your universe. Here’s the Prayer For Cleaning and Cutting All Negative Energies (From Morrnah Nalamaku Simeona–A Hawaiian Kahuna). If I, my family, relatives, and ancestors have offended you, your family, relatives, and ancestors in thoughts, words, deeds, and actions from the beginning of our creation to the present, we ask for your forgiveness. Let this cleanse, purify, release, cut all negative memories, blocks, energies, and vibrations. And transmute these unwanted energies into pure light. This entry was posted in -Clearing Negative Energies, -News and tagged 100% full responsibility, ancient hawaii healing, auras, auric field, Cleaning and Cutting All Negative Energies, cleanse, cleansing negative energy, clearing negative energies, clearing negative energy, divine, empath prayer, empaths, energy, getting rid of negative energy, hawaiian healing, Hawaiian Kahuna, healing negative energy, healing prayers, hoponopono, how to clean negative energy, how to clean your energy, intuitive, Kahuna, Morrnah Nalamaku Simeona, negative energies, negative energy, negative energy cleansing, negative environment, negative person, negative psychic energy, negative spiritual energy, prayer, purify, releasing negative energy, remove negative energy, removing negative energy, shaman, shamanic traditions, solutions for empath, Spiritual Teacher, spiritual teaching, spiritual teachings, what is an empath, you are an empath on April 1, 2011 by EmpathSolutions.